Keyword landscaping with Webmaster Tools. Example. As part of an effort to refresh UMPCPortal and bring it up to 2015 SEO standards I’ve been taking advice from various experts and looking closely at the quality of my site. Google Webmaster Tools has been instrumental to the process. 1) Removing very old and very short content. 2) Optimising my keyword landscape. UMPCPortal is over 9 years old and in 2014 had around 50000 pages listed in Google based on around 5500 articles, 1000 product pages, about 100 special pages and 20000 gallery images. The latter, I found out in early 2015, was screwing up my keyword spread, had very little textual content, was ad-heavy and clearly dragging down the site. The keyword spread was heavily biased towards manufacturers and brands which, as a niche technology site (ultramobile pc technology news, research, reviews) should not be my focus. Google’s ATAP team has announced Vault, a hardware-based, cross-platform microSD card based solution for encryption of data both at rest or in transit. ATAP is a Google unit that looks at Advanced Technologies and Products and among a number of their announcements on the Google IO stage in San Francisco was project Vault. 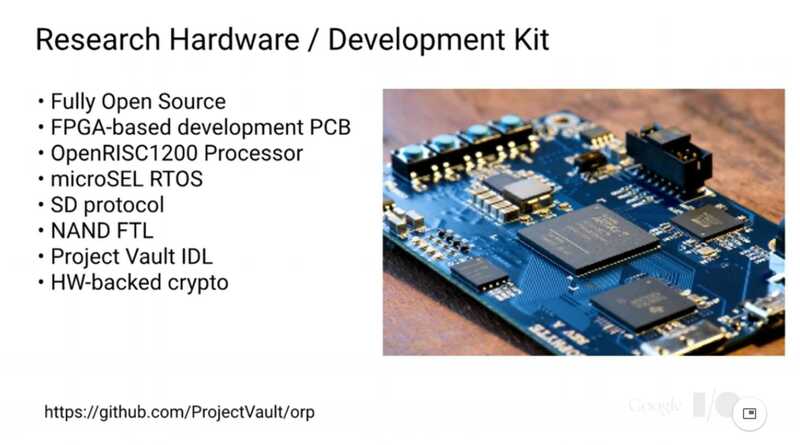 With the help of former L0pht member .mudge ( Peiter Zatko) the team has developed a hardware encryption device that they think anyone, and any system can use. Starting with a developer kit and a business-focused customer based the team aims to solve the problem of encrypting communications by having a simple hardware unit (inside the MicroSD card) and a simple file system based input and output mechanism. The open-source developer board was demonstrated on stage. It looks simple, and that’s good because people and business don’t use security methods properly if they are too complex and time-consuming but inside there’s a “suite of cryptographic services” along with an NFC chip, a hardware random number generator and 4 GB of isolated sealed storage. “Two Vault users can communicate end-to-end without exposing any cryptographicly sensitive data to the host systems” says Zatko. Vault is operating system agnostic. You’ll obviously need to trust Google though but with the development kit being fully open-source, including the CPU and the software this might become the best solution, even if you don’t trust Google. Don’t expect peer reviews to be done in a week though! We haven’t found a Google page for the ATAP Vault project yet but the ATAP page (which redirects to project Tango) is here. 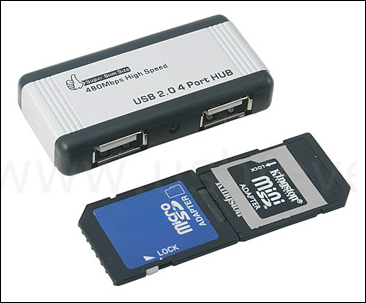 Similar: This isn’t the first MicroSD-based security solution on the market. Blackberry’s Secusmart unit has a similar solution for governments. 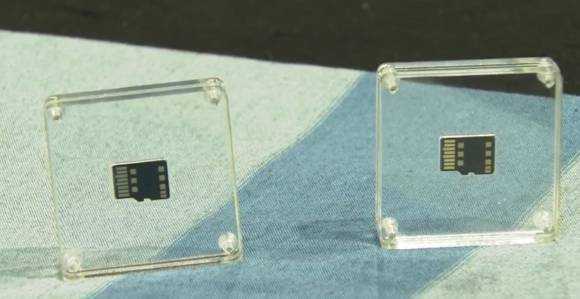 News Comments Off on Vault is a MicroSD card hardware security device, from Google. 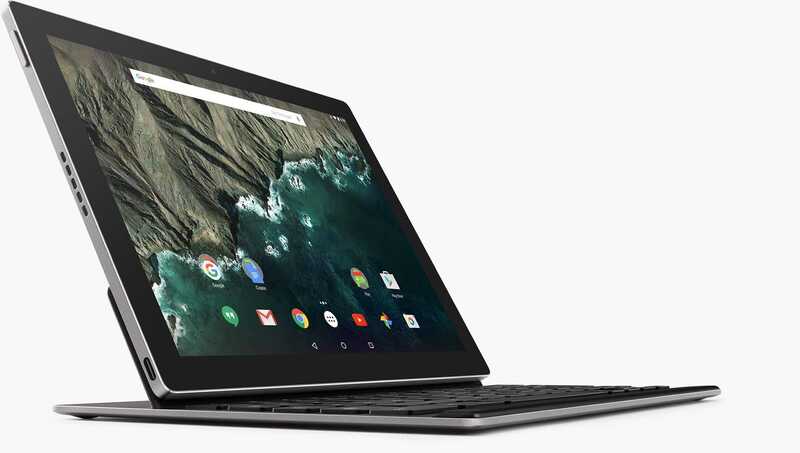 Google has relaunched and redesigned their database of ‘official’ Android devices. Previously found at google.com/phone, Google has moved the gallery under the Android domain; it can now be found at android.com/devices. Along with the domain move, the gallery has recieved a visual overhaul which uses cues from Android 4.0 Ice Cream Sandwich. Obviously this move was partly motivated by Google wanting to show that the scope of Android is greater than just phones. By moving away from the google.com/phone domain, and calling it the ‘Android Device Gallery’ rather than ‘Android Phone Gallery’, Google has made it clear that Android is an all encompassing mobile OS. You won’t find ‘unofficial’ devices (those running the open-source version of Android which lacks the Android Market) in the Android device gallery. Unfortunately, it doesn’t seem that the Android device gallery is all inclusive at this point — even for official devices. 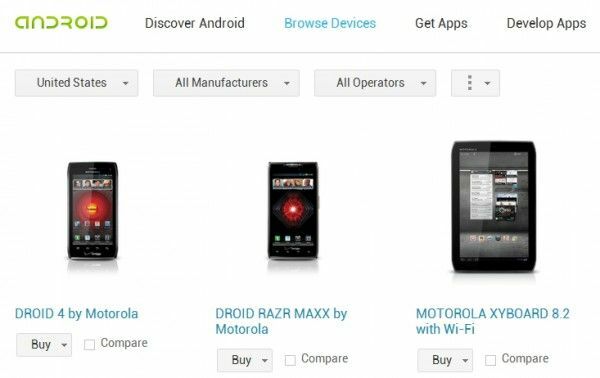 Some of the hottest Android devices currently on the market can not be found in Google’s android device gallery. Take for instance the Galaxy Tab 7.7, Galaxy Note, Galaxy Tab Plus, the Archos G9 tablets, and quite a few others — none of these are currently in the Android device gallery, but of course you’ll be able to find these in our very own device database. One of the nice things about the Android device gallery is that you can sort by carrier, making it easy for those under contract (most of us!) to see which devices are available to them. 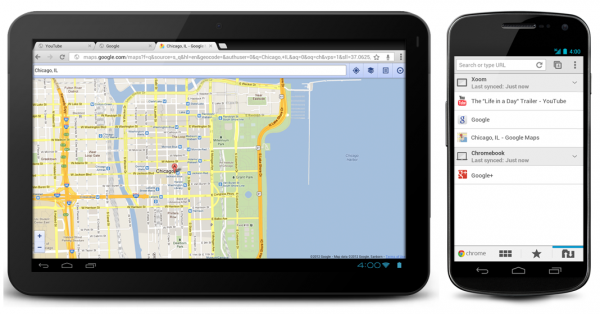 Chrome Beta for Android phones and tablets was launched just last week by Google. Unfortunately, it’s restricted to Android 4.0 and beyond, which means in all likelihood, only about 1% of you currently have access to it. Although the default Android 4.0 Ice Cream Sandwich browser is Chrome-like in many ways, the Chrome Beta brings the Chrome aesthetic to the Android platform along with an emphasis on synchronization and a big boost to web-standards compatibility. In addition to syncing your bookmarks from desktop to mobile and back, Chrome for Android also lets you open tabs on your phone or tablet that are currently open on your computer. Unfortunately, this isn’t a two way street (you can’t access tabs currently on your phone/tablet from the desktop browser). You can also command pages to open on your phone using the Chrome to Mobile Beta extension, although this feature has always been possible with the older Chrome to Phone extension which only requires Android 2.2+ to use. With Chrome for Android, your familiar omnibox comes with you as well. If you frequently visit a site through Chrome on your desktop, your omnibox will pick up on those queues on your mobile as well, helping you get to the site you want more quickly. There’s also incognito browsing on Chrome for Android, but this feature is present in the default browser as well, so it won’t be anything new if you’re already on Android 4.0+. Chrome for Android actually makes perhaps its biggest stride in a mostly invisible, but utterly important area: web compatibility. Just the other week I published a story showing which mobile browser had the best compatibility with the still-evolving HTML5 standard. At the time, RIM’s in-development browser was at the top of the list with a score of 329 from HTML5test.com, while the highest scoring currently-released browser was mobile Firefox (available for multiple versions of Android) with a score of 313. Although Chrome for desktop has long led or been consistently among the top most compatible HTML5 browsers, the default browser on Android was actually far behind the curve with a score of only 256 for the Android 4.0 ICS version of the browser, and just 182 for the Android 2.2/2.3 version of the browser which the vast majority of smartphones are running. With the release of Chrome for Android, Google has make a significant improvement to HTML5 compatibility over the default browser, improving by 87 points over the Android 4.0 ICS browser and a whopping 161 points over the Android 2.2/2.3 version. At 343 points, Chrome for Android now stands as the #1 most compatible HTML5 browser. This isn’t quite as high a score as the desktop counterpart, which currently scores 373 in the test, but it’s a good sign of things to come. Chrome for Android uses the same rendering engine as the default Android browser as far as I can tell, so you likely won’t see any major performance gains (although I am noting a ~200ms improvement in Sundspider between the default browser and Chrome). However, the user interface is more interactive and offers many improvements over the default browser (especially if you’re using the pre-ICS browser). Another new feature is a link preview box which automatically pops up when Chrome is unsure which link you’ve clicked (where there are many links close together). You’ll see a little box pop up which magnifies the links and makes them easier to click. This is handy, but half the time I can’t even get it to come up on purpose which makes me question how well they are able to detect when it will be needed. 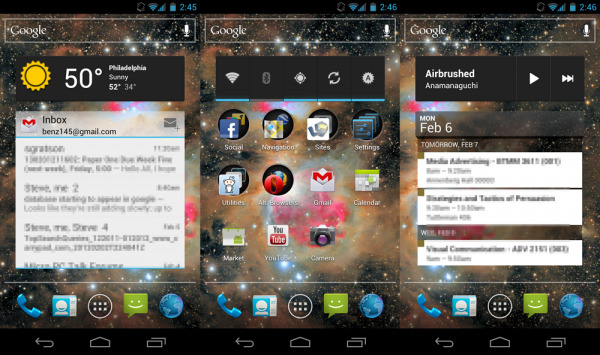 I’ve got the Galaxy Nexus on hand and I’ve been trying Chrome for Android since it came out. While I’ve got issues with a few user-interface inconsistencies and a stalling omnibox (hopefully to be fixed post-beta), it’s undeniable that Chrome for Android can provides a much richer and more ‘hands-on’ experience thanks to a rethought UI. As you can see, it looks very much like Chrome on the desktop. This is a great thing because it really extends the Chrome browser experience across multiple platforms; not just in terms of synced bookmarks, but also in look and feel. Imagine how close to a desktop experience you’d get if you were running Chrome for Android on a tablet hooked up for use as a desktop computer! One thing I wish Chrome for Android would do is sync your ‘Most Viewed’ sites that are shown when you open a new tab. At the moment, the ‘Most Viewed’ section exists on Chrome for Android, but it only considers sites that you’ve viewed on your phone, not those on the desktop as well. This may be intentional (as one might browse differently when on desktop or mobile), but it also might be attributable to the ‘Beta’ tag currently adorning this initial release of Chrome for Android. Also not currently functioning in the browser is Flash. Again, this might be a beta thing, or perhaps Google is putting the final nail in the coffin. It’s unclear if Google intends to eventually turn Chrome into the default browser for Android, but I think you’ll agree with me in saying that it would make a lot of sense. The boring default browser has long lacked any thoughtful tab management or much of a user interface; Chrome for Android feels like a big (overdue) step in the right direction. It would be odd if Google maintained two separate mobile browsers for Android, but it isn’t outside the realm of possibility — it likely depends upon the organization and cooperation of the Android team and the Chrome team within Google. If Google treats the Chrome Beta like most products they’ve ever labeled with ‘beta’, be prepared to see that beta tag for years to come! I’ve been using the iPhone for three generations now — starting with the iPhone 3G, then the iPhone 3GS, and finally the iPhone 4 which is my current companion. I’m finally due for an upgrade and I must say that I’ve come closer than ever before to picking an Android phone (specifically the Galaxy Nexus) over an iPhone, but it just wasn’t meant to be and I’ll explain why. Be sure to note that what’s important to have in a phone for me might not be the same for you; I’m just laying out my thoughts here as to why the Galaxy Nexus has been the phone that has come the closest to tempting me over to Android. Android 4.0 Ice Cream Sandwich feels like the first truly full package in the history of Android. Finally there’s good hardware acceleration and enough performance for a nearly smooth home screen. This hasn’t quite translated over to all apps just yet. Android finally seems to have all of the vital default apps and has long included a turn-by-turn navigation app that blows Apple’s Maps app out of the water. Google just launched the Chrome Beta browser which offers a rich browsing experience which should have been included in Android long ago. Photos can now be robustly edited right in the gallery without scouring the Android Market for the right app. Home screen folders are extremely fast and a pleasure to use, while resizable widgets further the level of flexibility and customization. There’s better battery and data analysis, and much more. This has all come together in bits and pieces over the last few years as Android has grown, and 4.0 is the first time it feels like a complete package to me. The saddest part about all of this is how hard it is to get your hands on Android 4.0 Ice Cream Sandwich. Google has crafted this seemingly complete package, but less than 1% of users have access to it right now! I’m actually limited to the Galaxy Nexus if I want a top-end phone that also runs Android 4.0 at the moment. The camera app in Android 4.0 is super fast in both launching and taking consecutive photos. Unfortunately, I still find that all Android handsets that I’ve tested have lacked in camera quality (for both stills and video) when compared to the iPhone 4, often despite higher megapixel ratings. For me, camera quality is more important than speed. The new panorama mode in the Android 4.0 camera app is neat, but I find that I can achieve better results by taking individual photos, then stitching them together on the computer. It’s a shame that Nokia never got into the Android ecosystem as they’ve long been heralded as having some of the best optics in the mobile industry. I’ve said it before and I think it’s still true today: Android is the best at managing notifications, while iOS is the best at delivering them. Between Android 4.0 and iOS 5.0, Android absolutely wins when it comes to managing notifications — you can toss away individual notifications or dismiss them all at once if you’d like. Tapping on a notification takes you directly to the item you are being notified about. All of this is better than how iOS does it. However, Apple’s push notification system is best in class. I don’t understand why Google doesn’t have push Gmail through the official Gmail app. Side-by-side with the Galaxy Nexus, my iPhone 4 shows changes to my inbox almost instantly, while the Galaxy Nexus doesn’t do anything until significantly later, unless manually refreshed. I can literally receive, respond to, and be done with an email on my iPhone 4 before it even arrives on the Galaxy Nexus. For some people, getting notifications instantly isn’t a big deal, but as someone who works on the web it’s a big advantage and one that I can’t easily give up. If you follow Carrypad regularly, you’ll know that I’ve got some gripes with 4″+ screens. One-handed usability is important to me because I’m frequently on the go. The 3.5″ screen of the iPhone (all versions of it) is far more comfortable in my hand than anything 4″ and above. The Galaxy Nexus, at 4.65″, is just too big to be used comfortably in one hand for me. Everyone’s hands are different sizes, so everyone has a different limit, but with the massive-screen fad that’s been growing in Android over the years, it’s almost impossible to get a top-end Android phone in a size less than 4″. 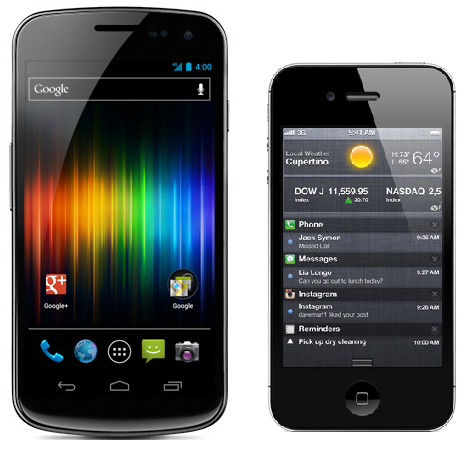 If the Galaxy Nexus came in any size 4″ or less, I’d be far more inclined to pick it over the iPhone 4S. This is one of Android’s greatest strengths, but it always runs the risk of being over-complicated. I’m the kind of person who loves to tinker with their gadgets and get them to work just the way I’d like. On the iPhone, this urge is satisfied with jailbreaking, which enhances the customizations you can make on iOS, but it’s not much compared to what you can do on Android. With Android 4.0 on the Galaxy Nexus, I can fit tons of apps efficiently on one page with folders. On other screens, I’ve got at-a-glance access to my calendar, weather, inbox, and music player. It’s nice to be able to do much of what I need to right from the homescreen instead of jumping through hoops between apps. This category is a major win for the Galaxy Nexus. There’s no denying that there are some great apps on Android, but Apple’s iOS App Store still has a greater number of apps than the Android Market. When we’re talking about hundreds of thousands of apps in each store, the aggregate hardly matters. Where iOS has the real advantage is in quality and consistency. Because Apple has strict guidelines, most apps are intuitive and work well without crashing. When it comes to apps from the Android Market, you might have two great apps, but they might have two completely different interface approaches — one app trying to emulate an iOS-like ‘everything on screen’ style and the other trying to do the Android thing by hiding features away in long-presses and hidden menus. Alone, each of these is arguably as good as the other, but when you have to jump between apps that go back in forth in their interface approach, the user interaction aspect of it becomes increasingly convoluted, and this is something I quite dislike. If everything above held an advantage for the Galaxy Nexus, there would still be one huge issue for me choosing it over the iPhone 4S — availability. I’m on AT&T, and the Galaxy Nexus is decidedly not available for purchase. AT&T has not one Android 4.0 ICS phone available at the moment, which means the best I could do is buy one of the top-end Android phones then wait and hope that it would receive an ICS upgrade. If Google thinks the Galaxy Nexus and Android 4.0 is such a great pair, they’ve got to do a better job of making it available for people to actually purchase it. The only way for me to actually get my hands on the Galaxy Nexus would be to switch carriers or buy an expensive unlocked version of the phone without a subsidy from my carrier. So, Google, you almost had me on this one, but unfortunately I’ve made up my mind to continue with the iPhone — for now anyway. Fix the stuff above that needs it; you’ve got two years to work on it before there’s another chance to convert me. What Happened to the Android Update Alliance? Less Than 1% of Devices Running Latest Version of Android! At last year’s Google I/O, a great new program was announced — Google was working with a group of equipment manufacturers to create a sort of ‘update guarentee’ which would explicitly inform customers how long they could expect their shiny new Android device to receive updates, and how quickly they could expect those updates from carriers or manufacturers. Google never named the program as far as I can tell, so I gave it one (after all, it needs a name if we’re to talk about it); the Android Update Alliance. I was very excited to hear this news initially out of Google I/O. We’ve all heard the horror stories of companies quickly dropping software support for nearly-new devices, or leaving customers waiting months with no news about when (or if) they would receive the latest vital updates — updates which could improve both the performance of their device and the security. I thought we’d finally see companies and carriers taking responsibility and offering guaranteed and reasonably long-term support for the latest Android gadgets. After all, no one wants their brand new phone or tablet to be completely unsupported 6 months after launch. In July, I encouraged Google and its partners to market the Android Update Alliance smartly to benefit themselves and consumers. Some suggestions included attaching a catchy name to the program, and using an exclusive logo on device boxes and in advertising so customers would know at a glance if the device they are considering is backed by the Alliance. The Android Update Alliance announcement was made 9 months ago, and contained many of the major industry players, including Verizon, AT&T, Samsung, HTC, Spring, LG, Motorola, and others. How much progress has been made in implementing the program? Well, just about none at all as far as I can tell. I haven’t heard a single bit of news about the program since Google I/O 2011 in May, and I’ve reached out to Google for comment on several occasions and heard nothing back, except to say that there is no official webpage for information about the program and that Google has nothing further to share about it at this time. What’s the deal Google? You didn’t even manage to name the program! The original announcement said that the initial partners agreed to support devices with updates for 18 months, but the group was apparently still deciding how quickly they could guarantee that users receive those updates. Google asked us to “stayed tuned” for more on the program, but there’s been no information at all from the company. None of the companies announced in the partnership have yet implemented any of the suggested support guarantees. It seems that the Android Update Alliance was just conceptual in nature. Sadly, in terms of devices running the latest software, things might have gotten even worse then before the Android Update Alliance announcement. To date, less than 1% of Android devices are running the latest version of Android — and that’s being generous and grouping everything above Android 4.0 together. If you want to talk about devices running the honest to goodness “latest” version of Android (4.0.3), then we’re talking just 0.3%. Android 2.3 is currently the most widely installed version of Google’s mobile operating system, by a wide margin, being found on 54% of all Android devices to have accessed the Android Marketplace over a 14 day period. The next largest install-base is not the next version after Android 2.3, but actually the one below it; Android 2.2 with 30.4%. This means that many devices are still transitioning from Android 2.2 to Android 2.3 the exodus from Android 2.3 to the next version up has scarcely begun. It amazes me that Google makes a big deal about Ice Cream Sandwich when such a tiny, minute, fraction of Android users even have access to it. So, Google, my question stands: what the heck happened to the Android Update Alliance? Ritchie Djamhur is a macchiato-addicted IT Buyer based in Sydney, Australia and also posts his thoughts on technology, music and anything else that keeps him up at night on www.ritchiesroom.com. My name’s Ritchie and I am a phoneaholic, of the smart variety. I’ll admit it, on most nights I have my smartphone safely tucked under my pillow, in case I stir restlessly out of sleep and feel compelled to check Facebook updates, Twitter messages and lists, LinkedIn news, or my WordPress stats. Sound familiar to any readers? Up until recently, I had not strayed far from the iOS family. I have owned a few iterations of the iPhone, and have seen its evolution in hardware along with the massive growth of the app store. And for the most part, the iPhone has fulfilled my needs, and indeed surprised me with functions that I didn’t realise I could do with. iTunes makes upgrading your phone terribly easy. When the next version of an iPhone is released, you simply back up your old phone, connect and register your new iPhone, and everything, including settings, email, photos, and messages will be loaded onto your fresh iPhone. That upgrade path makes it hard to break the cycle and look beyond the iPhone at alternatives that may in fact be better suited to your needs. The iPhone 4 is a great smartphone, and it’s always been a reliable partner in my business and leisure life. The ability to print wirelessly, read books, take casual photos, use social networking apps with ease, play some great games during downtime and use Facetime to see my extended family at a moment’s notice have all made the iPhone highly regarded in my household. There are a few things that have made my eyes wander of late, and I realised that unless I wanted to jailbreak my phone, there were a few things that I couldn’t do efficiently. For example, turning WiFi and bluetooth on/off, changing brightness or orientation settings take a fair few steps within the settings panel. On the other hand, widgets are a standard feature on Android phones, so I could see a good reason to move across just because of that â€“ instant access to functions I wanted regularly. But could an Android phone match or exceed what the iPhone and its associated ecosystem has delivered to me over the years? Back at Google I/O 2011, Google announced something called Android @ Home, which seeks to allow a huge range of accessories and appliances to interact with Android devices. I want my vehicles to be Android @ Home accessible more than stuff in my home, and I’ll tell you why. Where I really want to see Android @ Home though is, (oddly enough) not in my home at all, but rather in my cars. We have 7 drivers in my family, and we’ve got three cars to get us all where we need to go. Between jobs, appointments, vacations, etc. organizing all of those cars is a serious task. It’s not fun getting off the phone with a friend and saying “sure I’ll be right there” only to go out to the driveway to find that all of the cars are gone! Then you’ve got to call around to various family members to find out who is where and who will be home first. Equally frustrating is getting into the car to go somewhere only to find that the tank is completely dry and that you’ve got to add a stop at the gas station to your itinerary. Android @ Home could easily fix all of these problems, and more. If all of our family cars were Android @ Home enabled, not only could they report their positions to an app that everyone in the family has access to, but they could also report their gas levels. People want their privacy sometimes, so you could always set the app to not report exact car positions, but rather just say whether or not they are in the driveway. This way, I wouldn’t have to peek inside the garage or in the driveway to see if any cars are available. If I needed a car, I could select the car I want and query the car for its distance so I would be able to easily see which car is nearest, and who I should call to ask them to return the car. With gas indicators within the app for all cars, you’d easily know if you needed to fill up before running to your appointment, rather than being surprised at the last minute and being late because of a surprise empty tank. Thanks to the connected nature of our devices, the app could even tell you how much gas costs at your local station so you know exactly how much cash you’ll be putting in the tank. And who likes getting into the car in the summer and sweating until the AC really gets going, or freezing in the winter until the heat turns on? 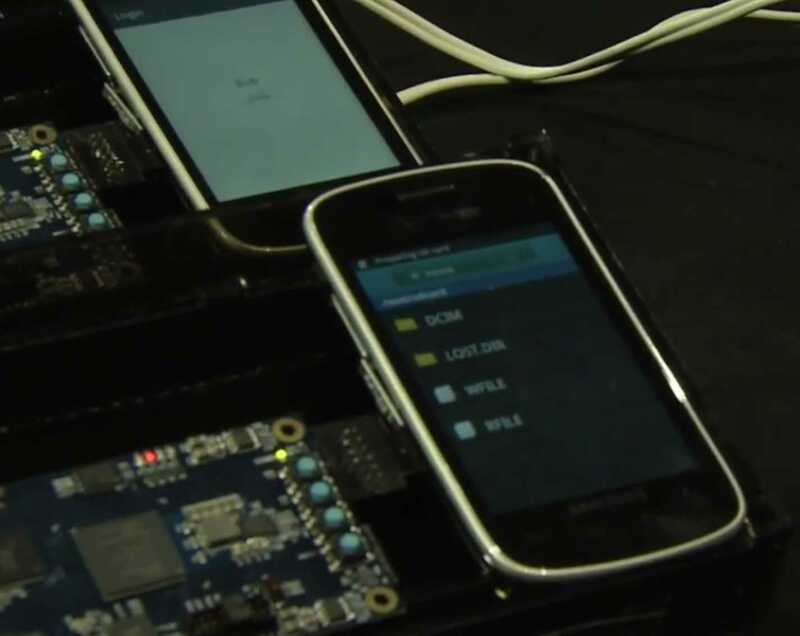 Android @ Home enabled vehicles could cool or warm the car before your morning commute. And how about running out in the pouring rain to close those windows that you left open? This could easily be done from an app. Ah! The possibilities are nearly endless and all very useful! 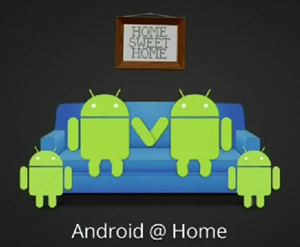 We’ve got the technology to make this happen, and Google’s Android @ Home project makes it easy to integrate. Here’s to hoping we see this sort of smart-automation at a consumer-available level in the next 5 years. It would certainly make my life easier. How about you, what feature would you want the most from an Android @ Home enabled car? Brainstorm away! We have 7 drivers in my family, and we’ve got three cars to get us all where we need to go. Between jobs, appointments, vacations, etc. organizing all of those cars is a serious task. It’s not fun getting off the phone with a friend and saying â€œsure I’ll be right there inch only to go out to the driveway to find that all of the cars are gone! Then you’ve got to call around to various family members to find out who is where and who will be home first. Equally frustrating is getting into the car to go somewhere only to find that the tank is completely dry and that you’ve got to add a stop at the gas station to your itinerary. Android @ Home could easily fix all of these problems, and more. With a number of already available or soon to be launched Honeycomb tables equipped with full-sized USB ports, I’m hoping that we’ll see the trend continue. 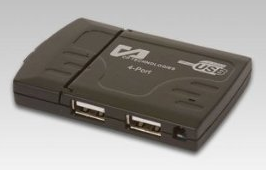 Current devices have an issue though; only one USB port! 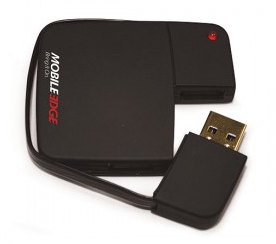 For devices like the Slider, which lacks a trackpad or other form of mouse, that one USB port is likely to be taken up by an external mouse for a desktop-like experience, leaving no room for other peripherals such as external HDD’s, flash drives, game controllers, etc. 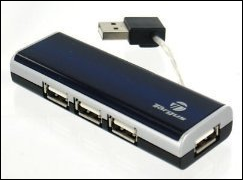 Thankfully, Google is rather smart and built a lot of standard connectivity into Android 3.1+ which means a bunch of USB accessories work without modification, including USB hubs for connecting multiple USB devices through a single port. Note: USB 1.x hubs don’t seem to work with Honeycomb! 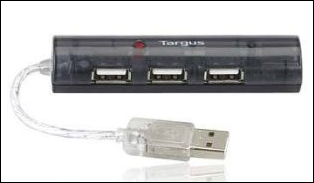 I also came across a super small 4-port hub which looks like it would be perfect to throw in a bag along with your tablet. We haven’t tested it, but it’s USB 2.0 which all of the tested USB hubs are. It’s also only $10, find it here. 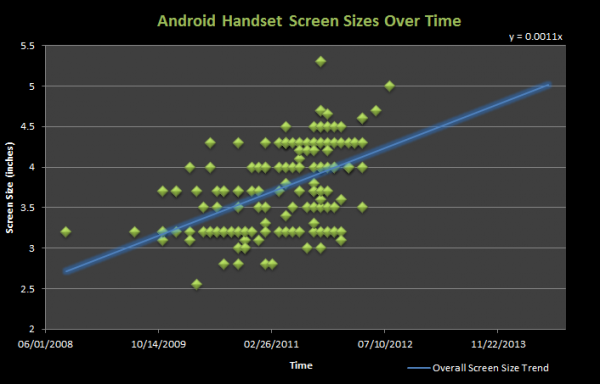 Android 3.2 Released — How Long Before it Actually Matters? On the 15th of July, Google announced their most recent version of Android, version 3.2. This represents the continuing evolution of the Honeycomb branch of the OS. Chief amongst the improvements were features that enhance the OS’ scalability across different target hardware platforms. Concurrently, updated revisions of the associated SDKs were also released. Packages are available for Windows, Mac OS X, and LINUX. A nice touch, Google has implemented the SDK as a slipstream, so you do not need to download a new SDK starter package. Just download the individual elements to support the new version, and then continue developing away in your same development environment. While I give kudos to Google for this approach, it is admittedly necessary due to the multiple variants of Android that are on the street. While 3.2 has been released, some developers will need to continue supporting and releasing apps for Android devices stuck at version 2.1. So keeping tools that stretch across Android branches is actually a necessity for Google to robustly support its army of Android developers. In fact, Android 2.1 is the third most prevalent version of Android in use. 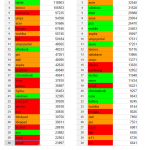 Taken from the version tracking site, which aggregates data based on instances of the Android Market being accessed over a 14-day period, Android 2.1 ranks in at 17.5%. I call this group the left-behinds. They are the collection of devices, some of whose manufacturers promised updates for them that were never delivered; others were sold with 2.1 with no intention of being supported with later versions of Android. If only they had the update guarantee! Android 2.2 and 2.3 are the first and second ranked versions, coming in at 59.4% and 17.6%, respectively. My own Dell Streak 7 is in the fat stratum, although I pray every day that Dell will reward the few of us who went with this uber-Streak with a 2.3 update. It would be even better if they grabbed 3.2 because it was specifically deployed to handle the variation in app appearance and behavior that has been occurring when apps are loaded onto a device with a display size that they were not originally designed for. 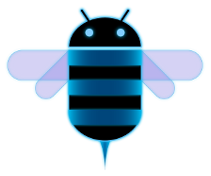 Android Honeycomb Market access has only combined for a total just shy of 1% in the last two weeks. The main takeaway here is that while Google continues to evolve the Android OS forward, and release the development tools that support it, user and developer adoption of the most advanced versions trails significantly far behind the releases. I think Google is on the right track moving to scalable OS’, but it is likely that they will be investing in this development for quite some time before hardware deployments that support it catch up. For those who consider this news meh because you are hanging on for the real leap forward that will be represented by the release of Ice Cream Sandwich (ICS), Google is maintaining the company line of a 4th quarter 2011 release. Readers would be well served moving their expectation window to the right into the 1st half of 2012. Either way, word on the street is that the first device to see ICS will be the Nexus 4G, currently available on Sprint. At last check, Sprint lagged behind Verizon in its deployment of Android updates. However, it has been getting them out faster than T-Mobile and AT&T, at least through the bottom half of last year. My own Motorola Xoom (Verizon 3G version) has yet to receive the push of the update to 3.2. Has anyone else received the push? If so, please put some comments in and tell us about your experience so far. Key features included in the 3.2 update are listed here. 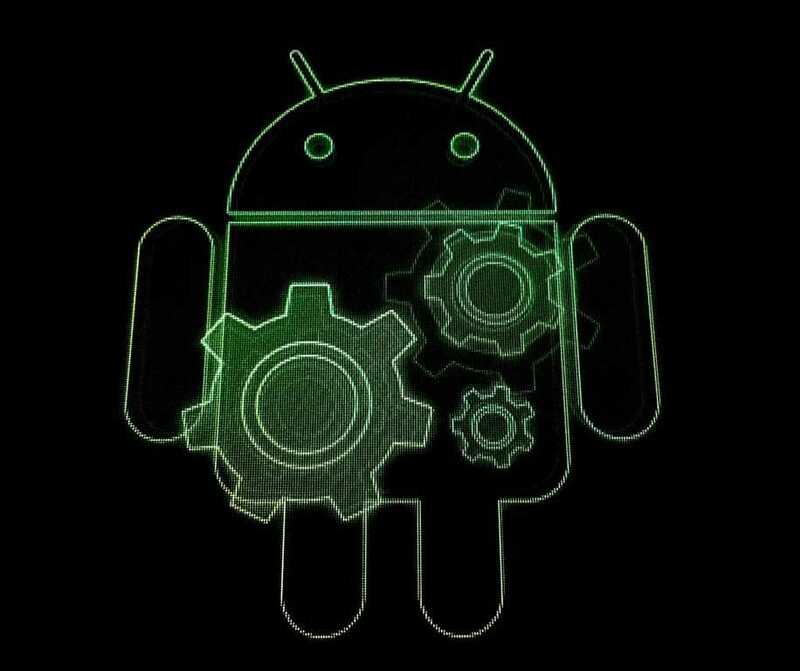 Report, Software Comments Off on Android 3.2 Released — How Long Before it Actually Matters?